If you have a special event coming up, Kalaii Creations invites you to book a fun and exciting workshop with Stacey! 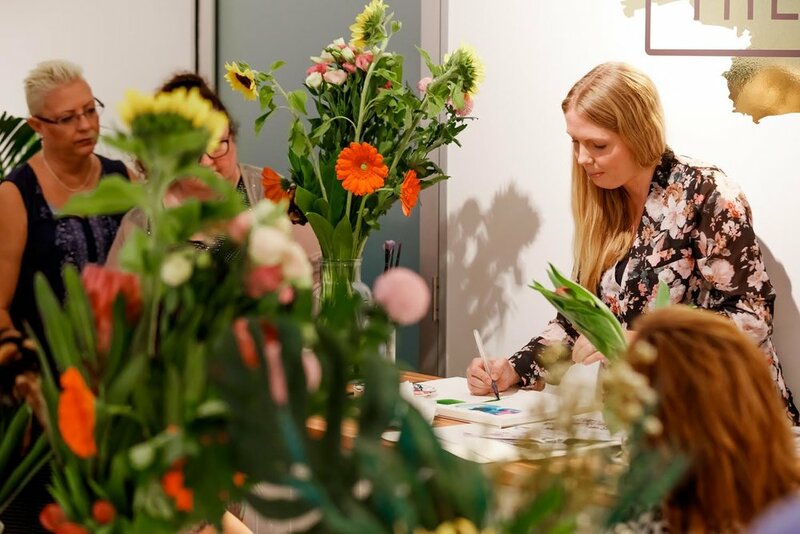 A watercolour workshop is the perfect option for a bridal shower, birthday, baby shower, a hens’ night or just a day for the girls! It is an activity that is fun for everyone and sparks the inner creative. What’s better, we’ll come to you! So if you want to have a wine, a cheeseboard and learn from a professional in the comfort of your own home, we’ve got you covered. If you’re searching for a perfect venue with a yummy lunch available for purchase, that can also be arranged (although please enquire about additional costs). Our chunky knit workshops come with all of the materials required to make your blanket or cushion, and the material is 100% merino wool – one of the most luxurious and softest wools on the market. Our watercolour workshops include all art supplies, and a super cute frame for your creation! Of course, you get to keep everything you make in any workshop. For a private booking there is a minimum requirement of participants. This can differ between workshops and of course, the amount of participants influences the price due to cost of materials. If you send us an enquiry we can answer all of your questions and even tailor a package to suit you and your event! Let Kalaii Creations teach you a new skill in a fun and relaxed environment. Feel free to have a look at our workshops page to see some more details before diving in, and then send us an enquiry to see exactly what we can do for you!